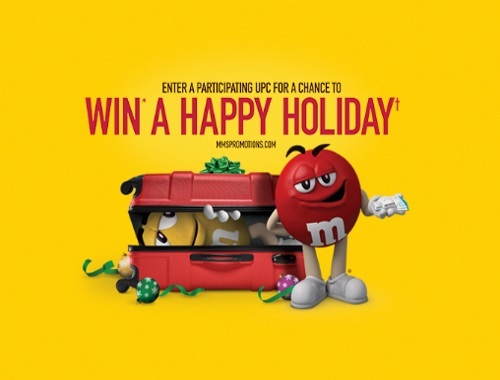 Win a happy holiday from M&Ms! Enter a participating UPC for a chance to win! There is also a no purchase needed option too. Enter for a chance to win $5000 to be awarded in the form of a cheque which may be used towards a holiday or trip. Enter the UPC code 058496426637 to play. One of our readers has provided this to you! Thanks Wendy! Contest closes January 5, 2018.